In this age of MySpace, cell phones, and instant messaging, it has never been more important to ensure that you are a part of your daughter’s life: the real and the virtual. It is no surprise that girls are enamored with social communications as a way to make connections and keep in touch. By the time they are ten or eleven, they may be developing their own websites, and creating fun emoticons, avatars, and colorful texts for their emails. Rachel Simmons, author of Odd Girl Out, talks about the dangers of Internet correspondence going something like this: Let’s say there are two teen girls named “Julie” and “Anne.” One day, Julie gives Anne a funny look in science class. Anne recoils, but does not do anything about it until she gets home and types, “R U mad at me?” Julie responds, “U R 2 sensitive.” Rather than picking up the phone and straightening it out, Anne then sends a message about Julie to forty of their closest friends, beginning a progression of misunderstandings and frustrations that eventually leads to someone – Anne, Julie, or maybe someone else—being ostracized, teased, and left out in the cold. Lyn Mikel Brown (see Girl Fighting and Your Child) notes that this unpleasant and likely-sounding scenario, however unsettling, is not the norm that it is sometimes portrayed to be. Girls have not stopped talking to each other directly and by telephone, as many parents can attest. While it is true that girls who have been raised not to show anger or deal with conflict directly continue to dodge face-to-face confrontations, the behavior itself isn’t new. The tools of expression have simply changed. These new tools, however, do call for increased education and responsibility. The Internet can be a very private-seeming place when one sits alone in front of a computer screen in a bedroom, but in reality, it can be devastatingly public. Many parents have found that keeping the computer in a public space helps to bring home the message to kids that they are dealing in the public realm when they type messages. As a rule of thumb, remind your child that she should not send any message or photo that she would regret having copied and dispersed widely, and that she should not share her password with anyone. Remind them that if there is a conflict, it is likely to be more easily resolved face-to-face than by email or in a text message. And finally, know what your children are doing online, in the same way that you know what they are doing at school. 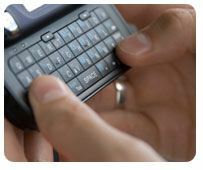 Know if they are visiting chat rooms, and find out if they feel concerned about the contacts they are receiving online. Look for changes in their behavior or attitudes that might indicate that they are getting messages that are hurtful or unsettling. Ask questions, and consider limiting the amount of time that your child spends on the computer – not so much to discipline them as to keep the real world in perspective, and the virtual world in check. To the extent possible, keep the computer in a public space so that you can periodically see what your child is doing. She may type “PIR”—text message-speak for “Parent In Room”—and that’s okay, because that’s exactly where we want to be. A speech by author Rachel Simmons was referenced for this article. Peggy Moss has worked to eradicate bullying for more than a decade, first as a prosecutor with the Department of Attorney General in Maine, and later as an educator and curriculum developer with the Center for the Prevention of Hate Violence and the Cromwell Disabilities Center. Peggy has written two award-winning books for elementary-aged children on bullying, www.SaySomethingNow.com.